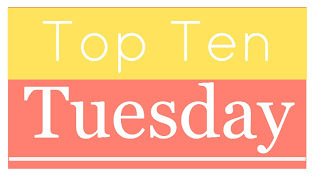 This week's theme from The Broke and the Bookish people is Top Ten Books on my Fall TBR List. I enjoy making these seasonal lists and have been doing well in getting to most of them. Sometimes the waiting list at the library plays havoc, but I base my list on some books I own, some library books, new releases, and ole stand-by series. Legal thriller, inventors/scientists, Nikola Tesla, historical fiction, quotes and chapter titles for all the chapters. This book is ticking all my boxes and was a wonderful, easy read. The narrative style reminded me of Erik Larson's books like Devil in the White City and Dead Wake. Larson's books are nonfiction and this is technically a fiction accounting, but the basic characters and plot line are true. Moore includes an afterward and specifies where he changed from order of events to make the story flow better. I've mentioned here and here my interest in Nikola Tesla, so a book with Tesla as a main character? Emphasis on the character part. In the notes after, Moore mentions that in today's world, Tesla would probably be diagnosed as schizophrenic. He was inventing wireless telephones! in the 1880s! Graham Moore is the young guy who won the Oscar for screenwriting The Imitation Game and gave a heartfelt speech. He's written a great book here and now I want to watch The Imitation Game with Benedict Cumberbatch. Cumberbatch plays Sherlock Holmes, and Moore has also written The Sherlockian. Woo, I'm going in circles here. Quality circles. This week's theme from The Broke and the Bookish people is Top Ten ALL TIME Favorite Books Of X Genre Since we are in the middle of Readers Imbibing Peril season, those books of mystery, suspense, thriller, golthic, horror or dark fantasy, that's my genre: scary books. I'm only picking my favourite books that I've read during RIP season. I realize I read many suspense and thriller and mystery books all year, so the only way to make this a bit easier is to limit to actual challenge books. Neverwhere by Neil Gaiman on audiobook again! After a year's break, Carl at Stainless Steel Droppings is back hosting RIP for the eleventh edition! I started at the second one, and these are my favourite type of books to read. I've just started watching Stranger Things on Netflix, and it definitely fits into the RIP category. My 13 year old has come to the living room to investigate the screaming she's been hearing when I watch this scary show. I plan to watch the last 5-6 episodes during this RIP season.